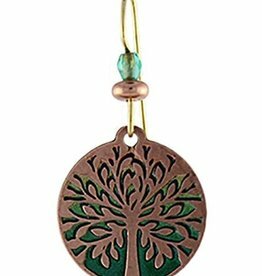 Copper tree of life with peach/green inlay and Czech crystals. Ear wire is gold plated brass. 1.5" long.